Do you have difficulty chewing or feelings of self-consciousness about your appearance because you are missing some or all of your teeth? If so, dental implants may be the ideal solution for you. With dental implants, you can have a full, permanent set of teeth that look and function as though they are your own natural teeth. A dental implant is a replacement for the root or roots of a tooth. Dental implants, like tooth roots, are secured in the jawbone and are not visible once surgically placed. They are used to secure crowns, bridgework or dentures by a variety of means. They are made of titanium, which is lightweight, strong and biocompatible, which means that they are not rejected by the body. Titanium and titanium alloys are used extensively in both dental and other bone implants, such as orthopedic joint replacements. Dental implants have the highest success rate of any implanted surgical device. Dental implant surgery is a common option for replacing missing teeth. Unlike removable dentures that rest on the gum line, dental implants are a long-term treatment that are surgically implanted into the jaw. These implanted, artificial teeth look like real teeth and have the same functionality as well. 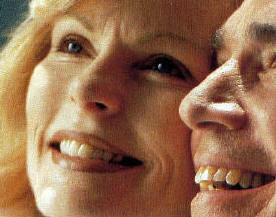 They are a more permanent solution to ordinary dentures and bridgework. Titanium’s special property of fusing to bone is called osseointegration. It is the biological basis of dental implant success. When teeth are lost, the bone that supported those teeth will also shrink over time as the bone is lost too. Placing dental implants stabilizes bone, preventing its loss. Along with replacing lost teeth, implants help maintain the jawbone’s shape and density. This means they also support the facial skeleton and, indirectly, the soft tissue structures — gum tissues, cheeks and lips. Dental implants help you eat, chew, smile, talk and look completely natural. This functionality imparts social, psychological and physical well-being. Please note that the information contained within this website is provided for informational and educational purposes only. All information provided in the website is believed to be accurate and reliable; however Implants For Everyone assumes no responsibility for the use of this information. The use of this website does not imply nor establish any type of doctor/patient relationship. No diagnosis or treatment is being provided by the use of this website. This website takes no responsibility with regards to misinterpretation of the information provided within this website or any consequences resulting from the use of this website. The Implants For Everyone web site(s) may link to web sites maintained by other entities. Reasonable precautions are taken to link only to web sites which are appropriate, accurate and maintained by reputable companies. However, those web pages are not under our control and Implants For Everyone is not responsible for the information or opinions expressed in those linked sites. Implants For Everyone does not imply any relationships or endorsements to any linked website. The information and recommendations on this site are intended simply to provide information and guidance. This website may not be relied upon as authority for compliance with dental, medical or legal requirements, or as a source of dental, medical or legal advice. Implants For Everyone does not warrant nor endorse any member listed herein, nor does it vouch for their professional competency, regardless of their status within the organization. We do not accept responsibility for the treatment they provide. Implants For Everyone does not guarantee the accuracy of the information found herein nor does it accept responsibility for errors or omission on this site. We are not liable to the users of this information or anyone else for any decisions made or actions taken in reliance upon Implants For Everyone member listing on the web. Illegal or unauthorized use of material on this website will be prosecuted to the fullest extent of the law.